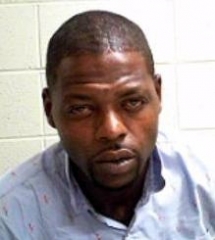 John Wayne Ross, 50 years of age, Address-HWY 182, Morgan City, La., was arrested on 4/12/2019 @ 11:11 A.M.
Randy Germone Clark, 32 years of age, Address-Eleventh St., Morgan City, La., was arrested on 4/12/2019 @ 12:08 P.M.
Detectives began an investigation of a burglary of a storage building on April 11th, 2019. During the investigation, Detectives learned John Ross had committed the burglary. After the burglary, John Ross and Rany Clark attempted to sell the items on social media. Officers located Randy Clark on 4/11/2019 in possession of the stolen items. Rany Clark was located at the Morgan City Police Department and arrested on a warrant for Possession of Stolen Property. John Ross was located in the area of Sixth St. and Brashear and arrested on 4/12/2019 on a warrant for Burglary and Possession of Stolen Robbery. Keenze Howard, 53 years of age, Address-Front St., Morgan City, La., was arrested on 4/12/2019 @ 3:44 P.M.
Keenze Howard was transported from Franklin Police Department to Morgan City Police on outstanding warrants held by City Court of Morgan City. He was booked and incarcerated. 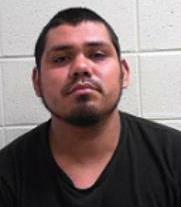 Leon Del Angel, 26 years of age, Address- Village Lane, Amelia, La., was arrested on 4/14/2019 @ 2:24 A.M.
An officer conducted a traffic stop in the parking lot on HWY 182. The driver was identified as Leon Del Angel. The officer suspected driver impairment. He was given a field sobriety test which he did poorly on. A computer check revealed Leon Del Angel did not possess a valid driver’s license. He was placed under arrested and transported to Morgan City Police Department. Once at Morgan City Police Department and given an Intoxilyzer test and gave a breath sample of .174g%. He was booked and incarcerated. Fancie Ratcliff, 27 years of age, Address- Felicia St., Morgan City, La., was arrested on 4/14/2019 @ 2:29 A.M.
An Officer observed a vehicle cross the center line on Brashear Ave. and conducted a traffic stop. 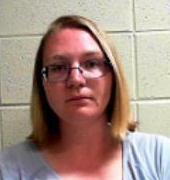 The driver was identified as Fanci Ratcliff. During the traffic stop officers located suspected marijuana, Oxycodone Hydrochloride, Codeine Phosphate, and drug paraphernalia in her possession. She was placed under arrest and transported to the Morgan City Police Department. 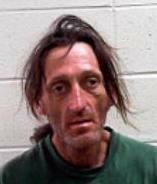 Shane LaCoste, 45 years of age, Address-Pharr St., Berwick, La., was arrested on 4/14/2019 @ 9:28 P.M.
Officers received a call of a suspicious vehicle in the area of Front St. and Railroad Ave. Officers came into contact with the driver of the vehicle who was identified as Shane LaCoste. Officers observed damage to the vehicle and appeared to have recently been involved in a vehicle crash. Officers learned Berwick Police Department was currently investigating a hit and run crash on U.S. 90 and suspected the vehicle Shane LaCoste was driving to be involved. Officers suspected driver impairment. He was given a field sobriety test which he performed poorly on. He was placed under arrest and transported to Morgan City Police Department. Once at Morgan City Police Department LaCoste refused the Intoxilyzer test. Officers obtained a search warrant for a blood sample which was collected and pending test results. LaCoste was booked and incarcerated. Jordon Jermaine Watson, 30 years of age, Address-Cherry St., Morgan City, La., was arrested on 4/15/2019 @ 1:00 A.M.
Jordon J. Watson was transported from Patterson Police Department to the Morgan City Police Department on active warrants held by City Court of Morgan City. He was booked and incarcerated. Eric Chan Harvey, 35 years of age, Address-Adams St., Morgan City, La., was arrested on 4/15/2019 @ 3:41 P.M. Officer conducted a traffic stop on HWY 182. During the traffic stop, Eric Harvey walked up to the area and began to interfere with officers conducting the traffic stop. After several warnings officer attempted to arrest Harvey. Harvey pulled away from officers while they were attempting to arrest him. Officers were able to handcuff Harvey. Officers located suspected marijuana in his possession. 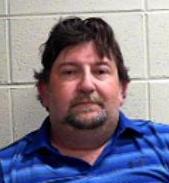 He was transported to Morgan City Police Department for booking and incarceration. Cyntl McCrae Harris, 33 years of age, Address-Ventre Blvd., Opelousas, La., was arrested on 4/15/2019 @ 4:26 A.M.
Officers come into contact with Cyntl McCrae Harris in a parking lot on HWY 182. During the officer’s investigation, suspected Marijuana and drug paraphernalia were located in is possession. 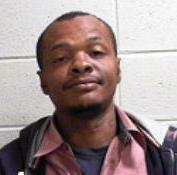 He was placed under arrest and transported to Morgan City Police Department for booking and incarceration.